The St. Isidore School Foundation was established in 1983. It's primary focus is to benefit St. Isidore School families who need temporary tuition assistance due to job loss or illness. Donors, board members and volunteers all believe that a quality, faith-based education brings our children closer to Jesus Christ and lets them share their Catholic beliefs with others. Our students stimulate the life our parish and community. They are our future and we are investing in them. The foundation is a 501 (c)(3) not-for-profit organization that created an endowment through donations, free from the pressures of day-to-day school funding. Instead, the foundation's primary focus is on the long term health of St. Isidore School, by helping maintain a vibrant and diverse enrollment. The endowment is prudently managed by the Board and its outside money managers. We have grown through your donations and are grateful for each and every contribution, no matter how large or small. It all adds up to helping St. Isidore families. Your checks and company matching donations are the life blood of our foundation. We depend on your donations, company matching program, bequests, and other charitable planned gifts, to make a difference in the lives of school families. Please consider a year-end gift during the holiday season. If you are making an honorary or memorial gift by mail, please include the family contact name and address (for memorials) or the individual's name and address (for honorary gifts). The St. Isidore School Foundation will notify the family or individual of your thoughtfulness, but will not reveal the amount of your gift, unless you specifically request for us to do so. Does your company offer a "company matching gift" program? 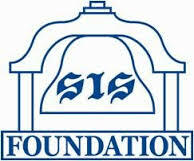 Please remember the SIS Foundation during your company's annual giving drive. Most companies will match dollar for dollar up to $5,000 in contributions. This is an excellent way to double your donation and help families in need. The SIS Foundation is also proud to announce their partnership with Amazon. Please click here to have a % of your Amazon purchases go directly to the SIS Foundation. The SIS Foundation's investment strategy is to provide safety through diversification in a portfolio that may include common stocks, bonds, mutual funds and cash equivalents. Above all else, the primary goal of the Foundation is capital preservation combined with the objectives of achieving reasonable income and capital growth for use as tuition assistance.